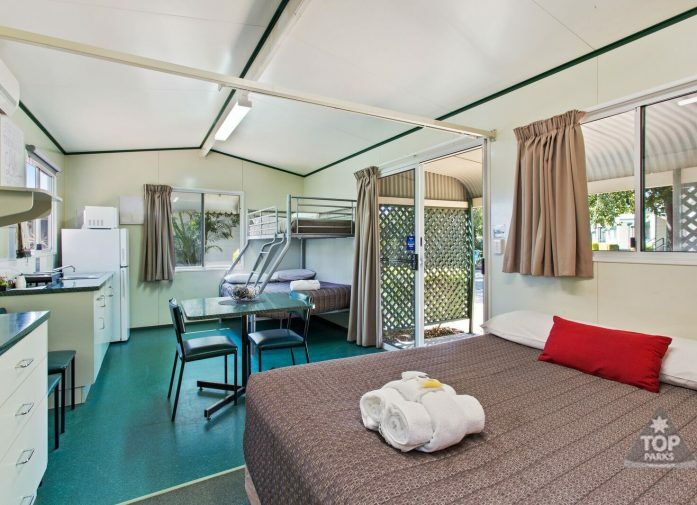 A short stopover or an extended stay is always comfortable in our great value Family Ensuite Cabins. 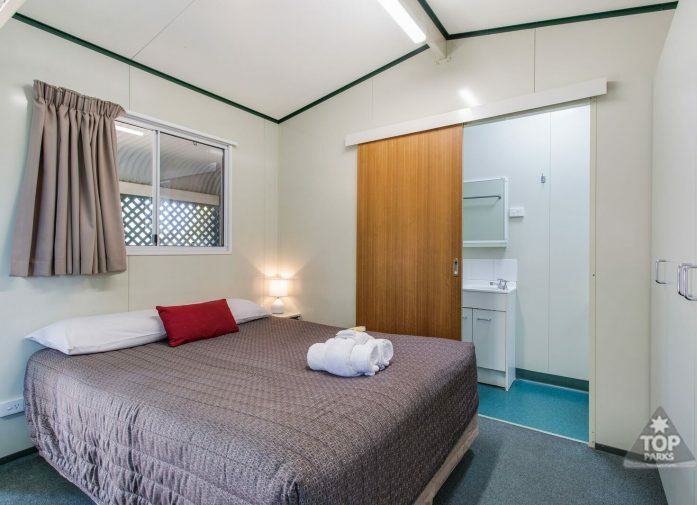 For the best family-friendly budget accommodation in Goondiwindi, our clean, comfortable cabins provide plenty of room and great amenities with space for up to five guests. 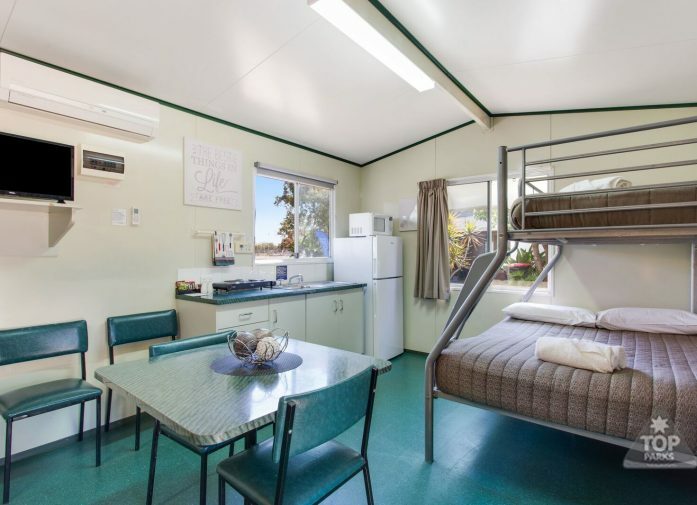 Our Family Ensuite Cabins are well appointed with a fully functional kitchenette, perfect for preparing basic meals. There is a fridge, stovette and all the cooking utensils, crockery and cutlery needed for five guests as well as a dining table and chairs. Each cabin has an attached, partially partitioned veranda or patio and outdoor seating with a table. The sleeping arrangement is open plan with a queen bed on one end and bunk beds at the other. 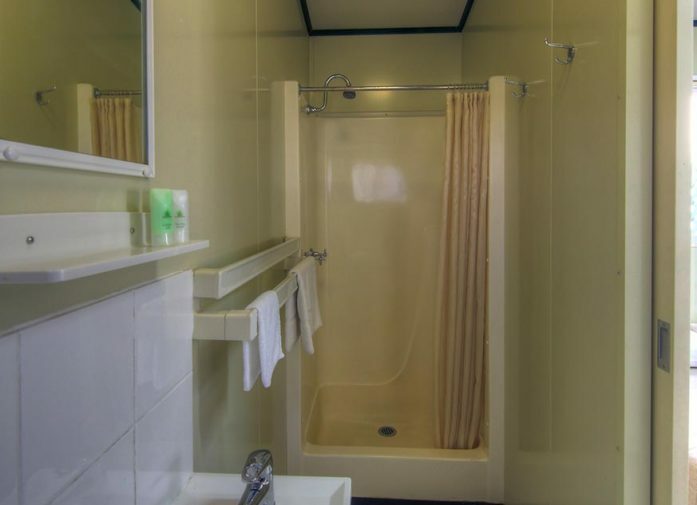 All linen is included and the ensuite bathroom contains a shower and complimentary hairdryer. 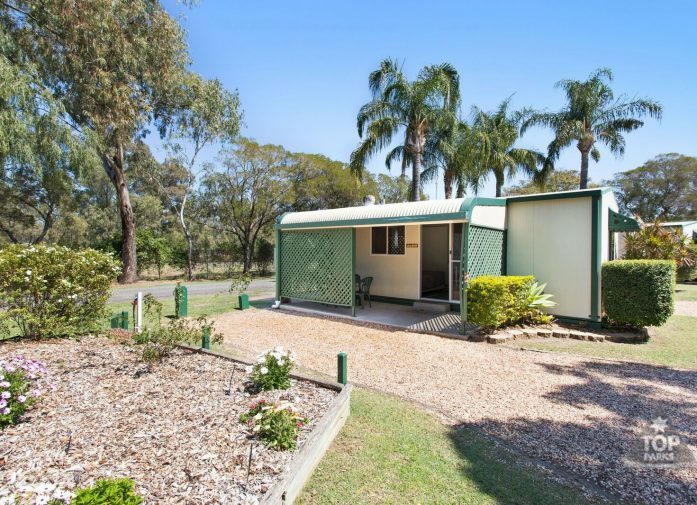 Your comfort is always assured with reverse cycle air-conditioning and some added touches such as an ironing board and iron, a toaster, TV and clock radio. There is even welcome tea, coffee and sugar for your enjoyment. 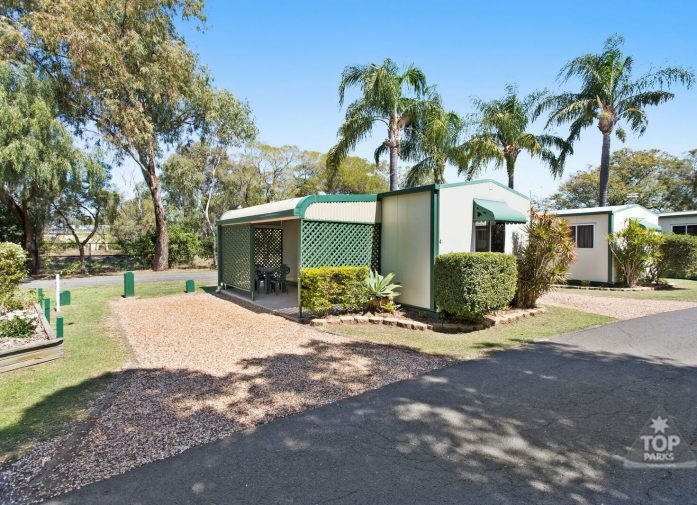 If you are a family or group travelling on a budget then our Family Ensuite Cabins are the best value accommodation on offer anywhere in Goondiwindi.